(Newser) – Stocks closed higher Thursday on Wall Street, breaking a four-day losing streak for the Standard & Poor's 500 index, the AP reports. Technology and industrial stocks rose more than the rest of the market. Facebook rose 2.3%, while Boeing climbed 1.3%. Energy stocks also rose as the price of crude oil bounced back following a steep drop a day earlier. Pioneer Natural Resources rose 2.4%. The S&P 500 rose 7 points, or 0.3%, to 2,637. 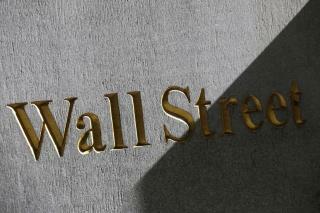 The Dow Jones industrial average climbed 70 points, or 0.3%, to 24,211. The Nasdaq composite added 36 points, or 0.5%, to 6,812. Bond prices fell. The yield on the 10-year Treasury note rose to 2.36%.